PTO MOD3™ – Mountain Power, Inc. The modular design of the PTO™ MOD3 charger features flexible, scalable, redundant power to meet the growing demands faced by material handling customers. 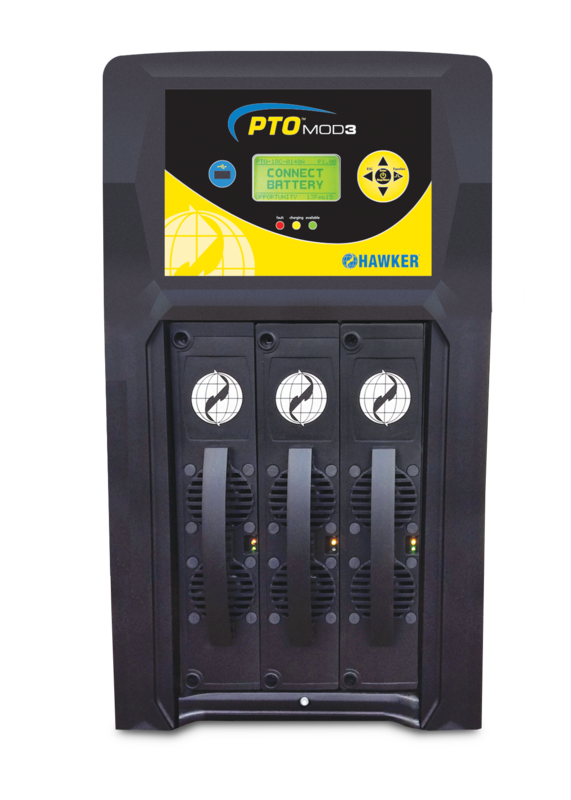 HAWKER®’s extensive line of high-frequency charging solutions now includes the PTO™ MOD3 conventional and opportunity charger product. This new charger provides economical opportunity charging capabilities and an adjustable I-U-I conventional charging profile to compete with non-smart opportunity chargers. Built on HAWKER®’s LIFEPLUS® MOD3 high-frequency power platform, the new PTO™ MOD3 chargers are multi-capacity (settable AH), selectable DC voltage chargers designed to compete in today’s growing market of switch mode technology chargers. 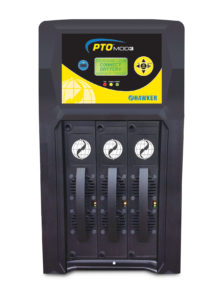 The PTO™ MOD3 Charger has a start rate of up to 25% of the battery’s rated capacity or the maximum output of the charger (whichever is less) to consistently maintain the battery’s state of charge in opportunity mode. The battery is then completely charged daily via the charger’s constant current finish charge to bring the battery back to full state of charge. **Note: Opportunity charging may not be the answer for every customer and each should be evaluated for the best charging practices in their facility. Contact Mountain Power now to cover all of your battery, charger and power system needs. Copyright @ 2016 Mountain Power, Inc.